Episode 109: Hawnwan Philip Moy MD, AKA Dr. Phil, is an EMS Physician in Washington University Saint Louis. He is the medical director of the Missouri Division of Arch Helicopter EMS Service as well as Co-Medical Director of Christian Hospital EMS. 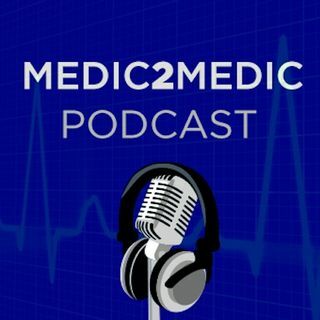 He is the one of the hosts and the editor of NAEMSP's Prehospital Emergency Care Podcast. Dr. Moy explains how he "fell" into podcasting. Dr. Moy had no interest in becoming a physician or emergency medicine at first. Listen to what ... See More changed his mind, his great experience as had as a Fellow in Emergency Medicine at University of North Carolina. Dr. Moy has a great appreciation for EMS, Paramedics, EMTs and the Wake County EMS System.